Below you can view all the homes for sale in the Ravenswood subdivision located in Indianapolis Indiana. Listings in Ravenswood are updated daily from data we receive from the Indianapolis multiple listing service. To learn more about any of these homes or to receive custom notifications when a new property is listed for sale in Ravenswood, give us a call at 317-586-4012. Hard to find 3 bedroom, 1.5 Bathrom home in Ravenswood on the "WHITE RIVER", Brand NEW Kitchen: cabinets, flooring, lighting, stainless steel appliances, granite counter top, Brand NEW bathroom: vanity, lighting, tub shower, toilet, flooring, 2 lots, NEW exterior paint, updated electrical and plumbing, gorgeous lot with plenty of room for a dock, fire pit, dog cage, main level living with access to wrap around deck and screened in porch. 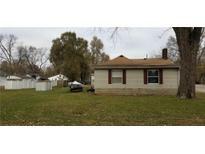 MLS#21627712. F.C. Tucker Company. Property roof, ack yard is fully MLS#21623200. Keller Williams Indy Metro NE. Per The Marion County Health Department Home Must Be Connected To City Sewer Prior To Occupancy. 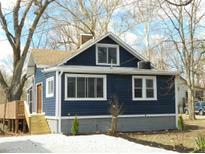 MLS#21622476. Value Realty Services LLC. 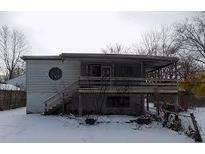 Great 4 bedroom 2 bath sits on 2 and a half lots home needs alittle TLC priced accordingly MLS#21607627. Star Realty. These statistics are updated daily from the Metropolitan Indianapolis Board of REALTORS® Multiple Listing Service. For further analysis or to obtain statistics not shown below please call Highgarden Real Estate at 317-586-4012 and speak with one of our real estate consultants.